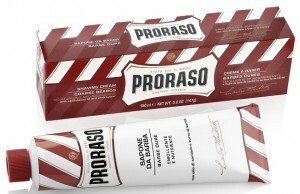 Proraso is a shaving soap that is made in Italy. The soap is made using an older method called the hot soap process. After the hot soap process, the soap is then left to mature for ten days. They let it develop for ten days because it becomes more concentrated in them days. 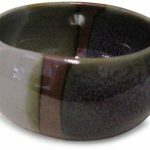 Last they pour the soap into a bowl and ship it to customers worldwide. This shaving soap is cheaper than others on the market at $7.99. Last longer than you would expect shaving soap to last. It is easy to lather. One application of the shaving soap lasts the whole shave, unlike shaving cream that will dry if you do not apply an excessive amount. It does not have an odd smell. This shaving soap has a refreshing menthol smell, unlike other shaving products. 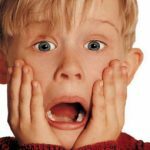 If you do not shave quickly enough, the lather will dry on your face, and the shaving soap will turn gummy under the razor blade. The shaving soap will leave a filmy residue on your razor. You will have to wipe the blade of your razor after every shave. It is thicker than other soaps. You have to add an excessive amount of water before it thins out. The menthol smell is stronger than you might feel comfortable with. 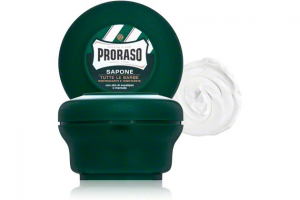 Most shaving soaps smell so strong that it will make you uncomfortable. This shaving soap has a bestselling fragrance. It has the fragrance of the bestselling Himalaya Cologne. It also has soy extracts and is high in glycerin along with shea butter which is essential ingredients for a smoother face. This shaving soap has an excellent texture, unlike other shaving soaps that are gritty. This shaving soap allows your razor to glide smoothly across your face without pulling your hair. 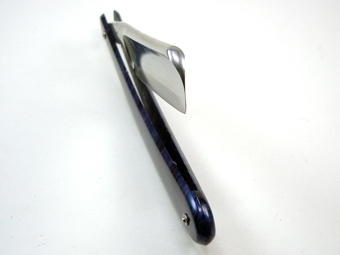 Some of the other gels, creams, and soaps on the market allow the razor to pull your hair which can cause irritation. This soap will not cause irritation if you have sensitive skin. It is easy to lather, and the lather will last you the whole shave. Many shaving products do not lather a long beard very well, and it will also allow the razor to pull the hair. This shaving soap works well on very little hair as well as long beards. 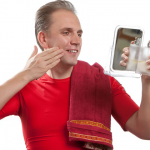 It might take a few times of shaving before your skin adjusts to the shaving soap. Like many other shaving products, it will dry on your face if you do not shave quickly. The fragrance might be stronger than you are comfortable with. This is a Bay Rum scented shaving soap. It contains avocado oil and Vitamin E which are two ingredients that are crucial for healthy skin. This shaving soap has an excellent scent and contains elements that will ensure that you have healthy skin and doesn’t dry your skin like other shaving products. It does not cause irritation to your skin if you have sensitive skin. The bar last longer than other shaving soaps. Helps to get a closer shave. This soap gives your face a deep clean as you shave. 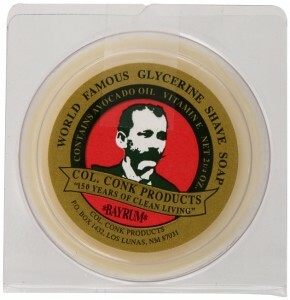 This shaving soap contains glycerine like many others. Soaps that contain glycerine lather better than soaps that don’t. The smell does not last as long as some other products on the market. This shaving soap will leave behind soap scum like many other soaps. To avoid this wash your razor thoroughly after every shave. You might find that it is a little difficult to whip into a lather after you add the water. Williams Mug Shaving Soap is formulated, so you get a good lather and unlike much shaving soaps the lather does not dry quickly. It leaves the face smooth and doesn’t dry your skin. It got its name from the disc shape of the bar of soap. It will fit inside most mugs. 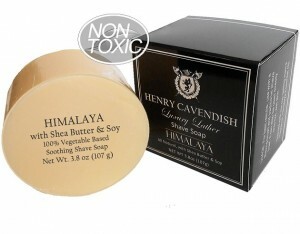 This shaving soap has a non-greasy lather unlike some of the other shaving soaps on the market that contain many oils. 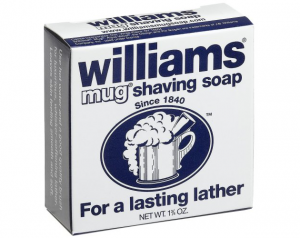 Some shaving soaps have a strong smell to them, but Williams Mug Shaving Soap smells like any other soap. It will not cover the smell of your aftershave. This product is better for sensitive skin than the most expensive creams or gels that are available in stores. The bar of soap last longer than you would expect it to for $3.55. It will give you a good lather, but it might take a little more practice to get that lather than it does with other products on the market. It leaves a little residue on your skin. 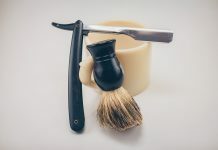 The lather does not last long if you do not use a thick lather so you might have to reapply it if you are a beginner to shaving soap. Like most of your shaving soaps, this one contains shea butter. Other soaps take a few minutes to get a good lather, but this shave soap will give you a good thick lather within seconds. 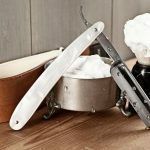 It gives you a great shave without all the chemicals. This soap is safe for all skin types. You can even use it if you have sensitive skin. It will not irritate your skin if you use it daily. You will get a creamier lather than you would with some of the other soaps on the market. 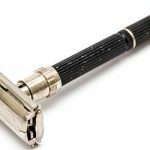 It allows you to get a closer shave than you would with cream or gel. It does not moisturize your skin as good as some of the other soaps and might leave your face feeling a little dry. It is a hard soap, so it takes a few minutes to whisk up a lather. The lather is thinner than you might prefer. This shaving cream is like a soft soap. It has a smell like no other shaving creams on the market. Comes in a bowl that makes lathering an easier task. It gives you a great lather that will last through your whole shave. It has a unique fragrance of sandalwood. 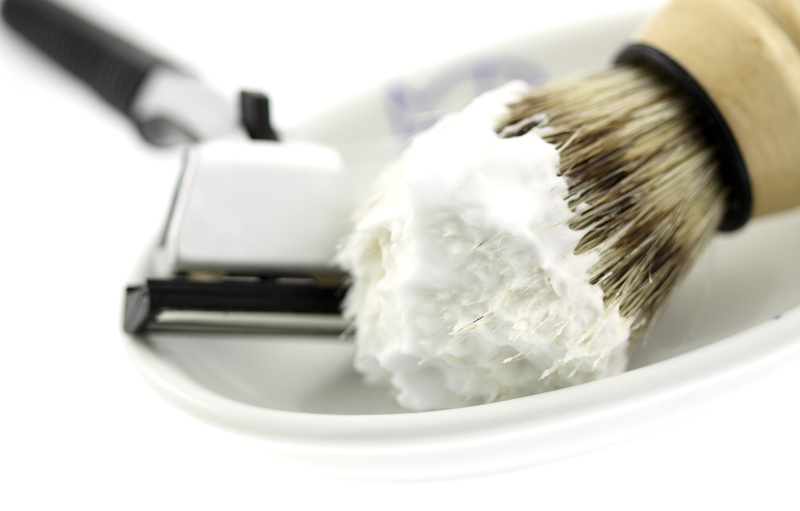 Some shaving creams contain chemicals that will irritate your skin. This shaving cream will not irritate your skin since it does not contain active chemicals. You do not have to use much of the shaving cream so one bowl will last longer than you would expect. Feels smoother than shaving creams that come in tubes. This will leave your face feeling drier if you have naturally dry skin. I will recommend you use a shaving cream with more moisturizers if you have this problem. It has a great fragrance, but the smell is strong. The lather is thick, but it is also a little dry. It will be a bit rougher shave than you would get from the smoother shaving creams. This is a well-known shaving cream. 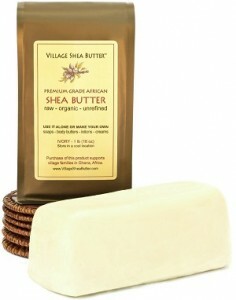 It contains shea butter like many of the other shaving creams and soaps. The shea butter is to ensure you have a smoother shave and to leave your face smooth after the shave. It also doesn’t irritate your skin like shaving creams that contain active chemicals. You would think that $9.56 is a little on the expensive side, but it is not. If you use this shaving cream correctly, you will only need a pea sized drop to last the whole shave. Being that you only need a little bit of the shaving cream, it will last you longer than you would expect. It has a smooth texture, unlike some shaving creams which feel gritty. It has a light scent so you will like that characteristic if you do not like strong scented shaving creams. It seems cold to the touch when you apply it on your face which makes your shave more relaxing. The lather is gaunt unless you whisk it for several minutes. The shaving cream will clog the razor, so you have to rinse your razor many times throughout the shave. Doesn’t contain much moisturizer so it will leave your skin dry after shaving. This shaving cream is unlike any others on the market. It contains molecules that are activated by water. These particles reduce cuts and irritation. Most cans of foam and gel will last one month at the most if you shave daily. Cremo Astonishingly Superior Shave Cream last ninety days if you shave daily. 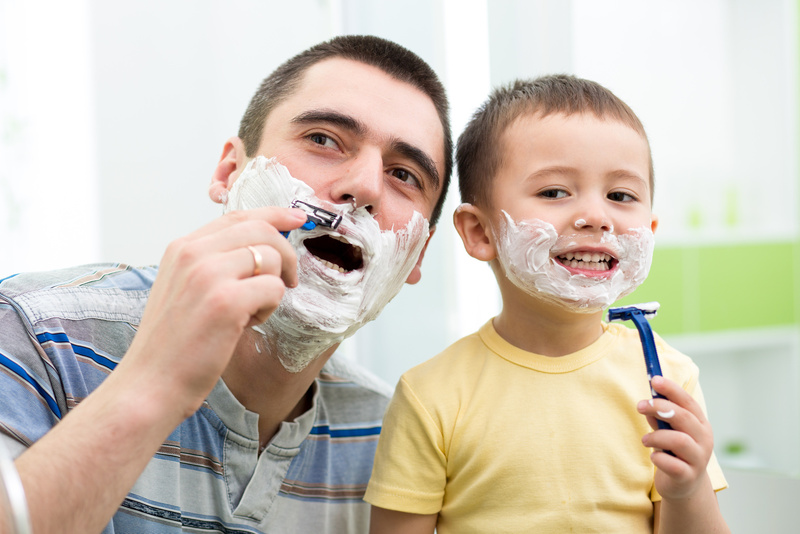 Many shaving products leave a lingering smell that is unpleasant from the chemicals it contains. This shaving cream does not leave that lingering smell. 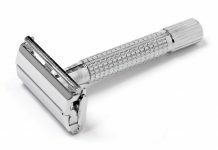 Most shaving creams clog your razor if you use a multi-blade razor. This shaving cream is smooth and won’t clog your razor no matter what kind of razor you prefer to use. We have all had the problem with our shaving cream being hard to rinse off. This shaving cream will easily rinse off even if you shave in the shower. It does not stick to your skin to the point that you have to use a wash rag to wash it off. The cream is smooth allowing your razor smoothly to glide, so you do not have to worry about cuts. You might not get as close a shave as you want. It does not stay slick long if it takes you a few minutes to shave. If this happens, you can dab water on your face, and the slickness will return. You will find that it does not work well with a brush. 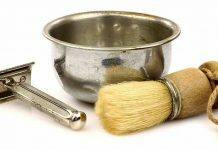 If you use a brush, you will be happier with the results if you use a shaving soap. This is a top of the line shaving cream for the price of what you could purchase a lower end shaving cream. It has three-layer to prevent skin irritation. The layers also help to hydrate your skin and allows you to get a close shave. Allows your razor to slide much smoother than other shaving creams which are usually gritty. Many shaving products will clog your razor. This shaving cream will not clog your razor even if you use a multi-blade razor. This product will stop the razor bumps and skin irritation you have experienced with other shaving products. Good on all skin types. It is even good on the most sensitive skin. You will have to use more cream than you would with some of the more expensive shaving creams. After you shave, it has a strong smell of glycerin. This smell will disappear in about an hour after you shave. It is lumpy. This is why it does not clog your razor like other creams, but you might prefer a smoother shave cream. Has a foamy lather, so it does not cause irritation. You can also use this shaving cream with or without a brush. It is formulated to give you a shave like a top of the line shaving cream without the expensive price tag. Suitable for any skin. It is even safe for sensitive skin and won’t cause irritation to your skin. 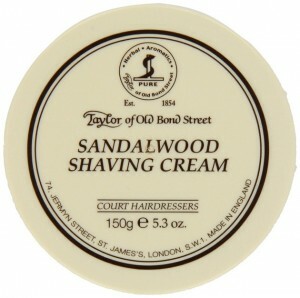 The sandalwood fragrance is not as strong as in other products if you use the shaving cream as directed. It has a smooth lather, unlike many other products that are gritty. 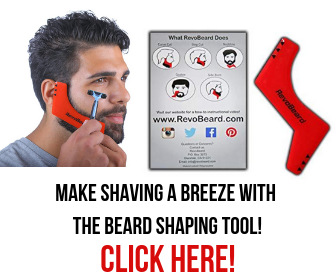 Gives you a close shave whether you have very little facial hair or a beard. This cream is a little on the expensive side. With a little research, you will find creams that are just as good for a lower price. It has a smooth lather, but the cream is thick making hit harder to lather. It has a little waxy type smell to it. It will leave a little residue on your face. Be sure to wash your face with a wash rag after you shave. All of the shaving creams and shaving soaps listed above have different characteristics. As you can see, all of them have good qualities and some bad qualities. They also range in price so you can find one that will fit your budget. If you prefer a shaving soap, I will recommend the Shaving Soap With Shea Butter. This shaving soap is one of the best you can purchase for your skin. The soap does have a few chemicals in it, but it does not have all the chemicals some of the other soaps, gels, and creams have which will dry your skin. The shea butter and the lack of all the harmful chemicals will keep your face smooth while giving you a close shaving without skin irritation. If you prefer a shaving cream, I will recommend the Art Of Shaving Cream. 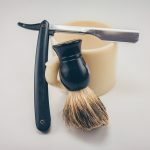 This shaving cream is thick which makes it harder to lather than some of the other creams on the market, but the lather is better than most if you do not mind it taking a few minutes to lather. The fragrance is also something that is a good thing since there’s many shaving creams that have a chemical smell. I also like the fact that it is safe for sensitive skin, unlike many shaving creams that will dry out your face.